ALL is one of the most curable forms of childhood cancer. To receive the best available treatment, it is essential that the child with ALL be treated at a pediatric medical center by board-certified pediatric oncologists with extensive experience treating acute leukemia. The intense treatment for ALL begins within days of diagnosis and requires aggressive supportive care. The goal of treatment is to achieve a complete remission by obliterating all leukemia cells as quickly as possible. Complete remission occurs when all signs and symptoms of leukemia disappear and abnormal cells are no longer found in the blood, bone marrow, or cerebrospinal fluid. The primary treatment for ALL is chemotherapy—the use of drugs especially designed to kill cancerous cells. Radiation of the brain and sometimes of the spinal cord is administered to some very high-risk patients. Bone marrow transplantation from an HLA-matched sibling is sometimes used to treat children with very high-risk disease (children with the Philadelphia chromosome or hypodiploid cancer cells) or children who have had a relapse (recurrence) of their leukemia. Infants with ALL require special treatment plans. Treatment is usually divided into phases: induction, central nervous system prophylaxis, consolidation, reinduction, reconsolidation, and maintenance (also called continuation). Children with extremely high white blood cell counts at diagnosis may require leukapheresis (removal of the white blood cells) before treatment with chemotherapy begins. Induction is the initial phase of treatment. Its purpose is to kill as many abnormal white cells in the shortest amount of time possible. It usually lasts four weeks, and for a portion of that time, children may need to remain hospitalized for monitoring and transfusions. For the remainder of the time, children are treated on an outpatient basis unless a complication arises. Children may need to be readmitted on more than one occasion during induction due to fever, infection, or other complications. Chemotherapy is most effective if three or four drugs are used simultaneously. In 2002, the majority of standard-risk ALL induction programs include vincristine, prednisone or dexamethasone, and asparaginase. An anthracycline (daunorubicin, idarubicin, or epirubicin) is often added to high-risk protocols. Drugs are given intravenously (through a needle or tube in the vein), intramuscularly (injection in muscle), orally (by mouth), or intrathecally (injected into the cerebrospinal fluid). These drugs can cause numerous side effects. 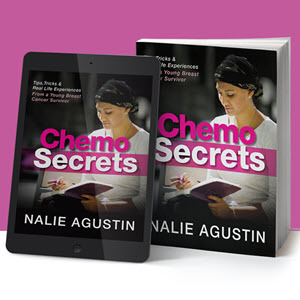 See Chapter 10, Chemotherapy, for an in-depth discussion of each drug and its side effects. Ninety-eight percent of children with ALL who receive three or more drugs during induction achieve a complete remission. The central nervous system (CNS) is composed of the brain and spinal cord, which are bathed in a fluid called cerebrospinal fluid (CSF). When cancer invades the brain, cancer cells are found in the CSF In most cases of childhood ALL (96 percent), leukemia cells are not found in the CSF at the time of initial diagnosis of ALL. However, before it became standard practice to use CNS prophylaxis (prevention), 60 to 70 percent of children with ALL eventually developed leukemia in the central nervous system. This suggests that at the time of diagnosis, microscopic amounts of leukemia are already present in the CNS. Therefore, CNS prophylaxis is now an essential part of treatment for ALL. Because a blood-brain barrier exists that prevents most chemotherapy drugs from crossing into the CNS to destroy leukemic cells, chemotherapy drugs are injected directly into the cerebrospinal fluid (called intrathecal medication) during spinal taps. Intrathecal medication is given periodically throughout treatment. Five to 10 percent of children experience seizures from intrathecal medications. Standard-risk patients receive intrathecal methotrexate, or triple intrathecal therapy— methotrexate, hydrocortisone, and cytarabine—for CNS prophylaxis. Whether children with a high-risk of CNS relapse (e.g., T-cell ALL with a high white cell count) require cranial radiation is controversial. In some protocols, these children receive 1200 to 1800 cGy of cranial radiation as well as intrathecal chemotherapy, although those with a rapid early response to therapy are sometimes treated with intrathecal therapy alone. CNS prophylaxis has decreased the risk of CNS relapse from 65 percent to only 5 percent, and is partially responsible for the huge increase in cure rates. Unfortunately, the treatments can sometimes cause long-term disabilities such as decreased attention span, short-term memory problems, and lower ability in spatial and mathematical skills, particularly when radiation is used (see Chapter 15, School). Current clinical trials are attempting to determine how much and what type of treatment is necessary to prevent CNS relapse while minimizing the chances for long-term side effects. Consolidation therapy consists of new combinations of drugs to destroy any cancer cells that survived induction. It includes high doses of previously used or new drugs and central nervous system prophylaxis. In 2002, the most common drugs used in consolidation are: methotrexate, cyclophosphamide (Cytoxan), cytosine arabinoside (ARA-C), 6-mercaptopurine (6-MP), dexamethasone (Decadron), asparaginase, and thioguanine. See Chapter 10 for detailed descriptions of these drugs. A second induction (commonly called delayed intensification or reinduction) and a second consolidation may be administered prior to maintenance in some protocols. Children who were slow to respond to induction treatment may benefit from a second delayed intensification. Protocols for high-risk ALL usually contain more drugs at higher doses, and sometimes involve cranial radiation. This treatment has increased toxicity, but is more effective for the small percentage of children with high-risk features. Researchers studying childhood cancer are increasing their understanding of what types and subtypes of ALL require more intensive therapy and for which ones therapy can be less aggressive. Maintenance (also called continuation therapy) is the final phase of treatment for ALL. It consists of lower-dose chemotherapy given for two to three years to kill any remaining leukemia cells. This portion of treatment is less toxic and easier to tolerate than induction and consolidation. In most clinical trials, mercaptopurine (6-MP) is administered every evening and methotrexate is given weekly. In addition, other drugs such as vincristine, prednisone, or dexamethasone may be included. Many protocols also give intrathecal metho-trexate during maintenance therapy. During maintenance, children are monitored for drug-related toxicities as well as for compliance (making sure they are taking the drugs as directed). Some children have an inherited trait (deficiency of thiopurine methyltransferase) that makes it difficult for them to break down mercaptopurine. These children can only tolerate small doses of mercaptopurine; at conventional doses they will have profound and life-threatening drops in their blood counts. Stem cell transplants may be recommended after first remission in some children at extremely high risk of relapse. These may include infants less than one year old with MLL gene rearrangements or those with the Philadelphia chromosome. Transplantation may be recommended for children with ALL who relapsed and then achieved a second remission (see Chapter 20, Stem Cell Transplantation). To learn more about ALL, call (800) 422-6237 (800-4-CANCER) and ask for the PDQ (Physician Data Query) for ALL. 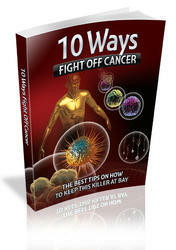 These free statements, also available on the Internet at http://www.cancer.gov/cancer_information/pdq/, explain the disease, state-of-the-art treatments, and ongoing clinical trials. There are two versions available: the version designed for patients uses simple language and contains no statistics; the version for professionals is technical, thorough, and includes citations to the scientific literature.